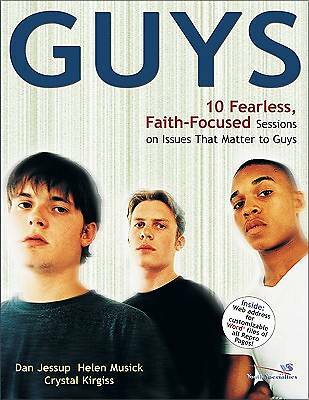 Targeted for high school freshmen and sophomores, Guys presents 10 lessons dealing with what it means to be a young man in Christ in the midst of an image-driven society. In a non-prescriptive way, this curriculum gives guys a chance to "shoot the breeze" about topics of substance and explore the concept of being a godly man. Because guys tend to be less verbal than girls, this curriculum has more activities than discussions, but students are given opportunities and are encouraged to express their thoughts out loud as they discover who they want to be.